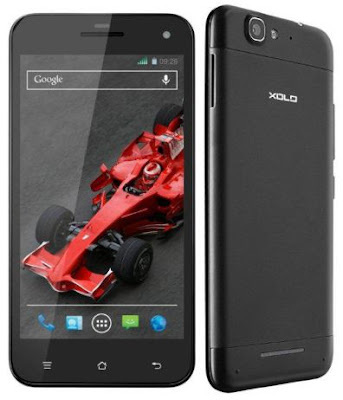 Xolo has launched its new flagship smartphone Xolo Q1000S in their Q series. It is upgraded model of previous model Q1000 and it has the similar display configuration. Q1000S comes with 5-inch HD IPS display based on One Glass Solution (OGS) with 1280x720 pixels. It runs on Android 4.2 Jelly Bean operating system and powered by 1.5 GHz quad-core MediaTek processor. Xolo Q1000S features a 13 MP rear camera with auto focus, LED flash and BSI 2 sensor for low-light image taking and there is 5 megapixel front facing camera also. The camera supports 1080p video recording, Face recognition and Geo-tagging. It has 1 GB of RAM, 16 GB of internal memory and the external memory up to 32 GB with microSD card. Xolo Q1000S has Dual Sim support with dual stand-by feature. The phone packed with 2500 mAh battery that provides 22 hours of 2G talk time and 4 hours of 3G browsing. There is 3G (42 Mbps Download), Wi-fi, GPS and Bluetooth 4.0 for the connectivity options. Xolo Q1000 is priced at Rs.18999 and available all the stores across the country from this week. Xolo released this mobile to compete with Micromax Canvas 4 that launched on July for Rs.17999. Both are having similar configurations such as HD display, camera, memory but Q1000S has 1.5 Ghz processor. And it is the thinnest Android phone to compete other brand mobiles with only 6.8 mm slim body. What would you like to buy Canvas 4 or Xolo Q1000S, share your comments below.